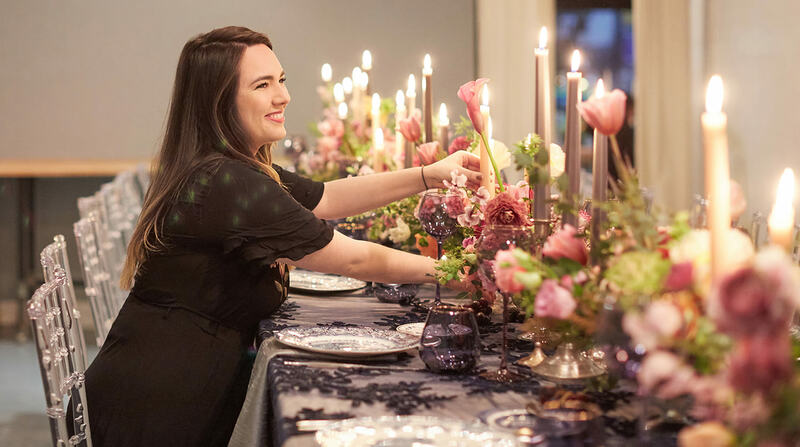 This three day Event Planning series is for florists, caterers, event planners or anyone planning an event. Students will learn the workflow, fundamentals and best way to realize a fully planned event. In this simulated project management course, we will show you how to plan an event from start to finish. You will meet your Client, and learn how to create layouts, timelines, and budgets, as well as the elements of design. You will also learn about vendor relations and get to meet real industry professionals. The first day will focus on the initial steps every planner must take when beginning a new event with a prospective client. We will begin with an overview of the events industry including occupations, types of events, and client buying power. We will discuss sales and types of planning packages so students will know what services to offer, and also how to charge for them. Students will then practice their consultation skills, using sample client profiles, asking all the questions necessary to complete their Client Intake Sheet deliverable. We will go over the full event planning checklist with timeline, and students will need to complete their proposed planning package and timeline of payments for the following class. The second day will center around the many important details that planners need take into consideration when advising clients. We will review budgets, in terms of spending expectations and how planners can help clients manage those expectations. Students will learn about event vendors and will discuss the best ways to find the right vendor for their events and how to build up their preferred vendors list. Students will then shift their focus to design, discussing elements of design including color palette, style/themes, and creating a vision board and place setting. On the last day of the program, we will introduce students to the AllSeated software and discuss the best (and worst) ways to lay out a room for any given event. You will then choose which layout to recommend to your client and why. Final event designs will be presented for critique by industry professionals. Finally, FlowerSchool Event Planning Program will host a luncheon with established vendors such as caterers, bakeries, and photographers. The vendors will discuss their work, and their experience in the Event Industry here in New York City. They will then serve as a panel, along with the instructors, as students present their finished Event Design Plan for critique.